Several University of Lynchburg students will compete in an Aging 2.0 Global Startup Search on Thursday in hopes of winning seed money for a healthcare app. Students on the team include Jeff McCullen ’16 and Roger Doles ’17 from computer science, J.P. Lopez ’14 and Christy McIver ’15 from the public health master’s program, Kevin Viken ’16 from the Doctor of Physical Therapy program, and Haley Crouch ’16 from psychology and health promotion. They are working with Dr. Charlotte Guynes, director of the Master of Public Health program, and Denise Scruggs, director of the Beard Center on Aging at University of Lynchburg. 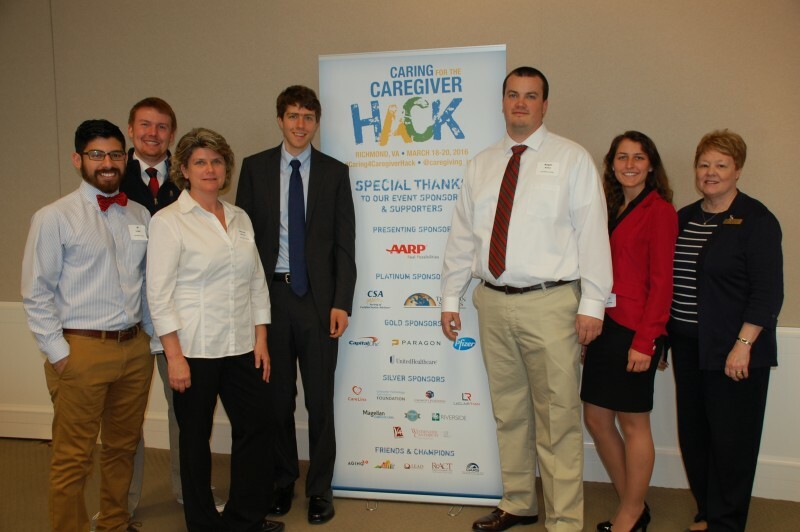 LC also sent a team to the 2015 Caring for the Caregiver Hack. Read about that in University of Lynchburg Magazine.